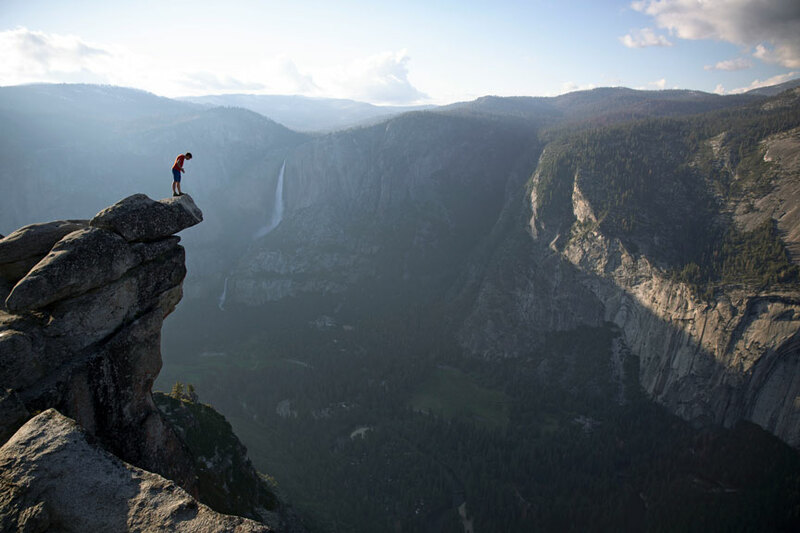 When non-fiction filmmakers Chai Vasarhelyi and Jimmy Chin decided to profile their friend and professional rock climber Alex Honnold, they didn’t grasp the enormity of the danger the ace mountaineer would assume. Nor did they appreciate the full degree of the personal, professional, and ethical risks they, too, were about to take. Portrait of co-director, Chai Vasarhelyi. In the midst of shooting, Honnold announced that he would attempt the impossible: a perilous free solo climb up Yosemite’s majestic El Capitan. Free Solo chronicles Alex’s heroic exploit, a terrifying feat no one had done before. The 2019 Oscar-nominated documentary starts as an intimate, unflinching portrait of what makes the singular Honnold tick and ends as a nail-biter, a suspenseful, ultimately thrilling account of his death-defying climb up El Cap’s sheer 3,200 face. Free Solo co-directors, Chai Vasarhelyi and Jimmy Chin, spoke with Musée’s Bruce Feldman. Here are brief excerpts. CHAI: I understand that it’s two films in one, but in a way we both feel that one wouldn’t exist without the other. The personal side allows climbing to come to life in a very different dimension, a much more intimate [one]…We saw in him this potential to make a film that was about more than climbing. Alex as a character is inspiring on so many different levels. He allows others to feel inspired by his own courage… The part [of Alex] we were interested in was the why? What compels somebody to do this? I think with Alex there are a lot of different factors that play into it – looking at what his childhood was like, understanding how intimacy is a really difficult thing for him. And then we had this incredible opportunity in Sanni [Alex’s girlfriend], which we never anticipated, where suddenly Alex was falling in love in front of our cameras…. JIMMY: We shot cinema cameras with cinema lenses on Free Solo because we knew that we wanted it to be a big cinematic experience… We really tried to push the boundaries of high-angle shooting, taking everything that I’ve learned in the last 20 years and applying it to making this film. Portrait of co-director, Jimmy Chin. Photograph courtesy of Andrea Blanch. CHAI: For a year and a half, they [our crew] were spending a much greater amount of time in the vertical world than they normally would. There are objective hazards that do exist. We had five guys up there all the time. It was a risk. On filming while dangling from a rope at 3,000 ft.
JIMMY: You’re always a climber first, and your safety is always first. Once everything is covered as a climber, then you can begin filming. That’s always the directive… Simple mistakes could be fatal up there for the entire crew. JIMMY: The motivations that climbers have are often the same motivations that anybody has: to push their craft, to do something that has meaning for them, to have purpose. That drive and ambition to be great at what you do is the same for anybody. The stakes are different, but sometimes you don’t get to choose what that thing is. When you fall in love with climbing, you take that ambition and drive and you apply it to climbing. CHAI: I think this gets at the existential question at the center of the film, which is: By filming this is Alex more likely to fall? Somehow in the act of filming, could we cause some issue that he would fall?... If something terrible had happened, we would have had a horrible job of making a film about that. It was a very, very difficult decision for us to make. National Geographic’s Free Solo, one of just five feature length documentaries nominated for an Oscar this year, is currently playing in select theatres. Read Bruce Feldman’s full interview on Free Solo in the next issue of Musée.